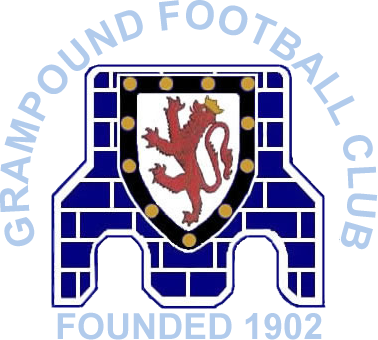 Grampound Football Club is one of the oldest clubs in Cornwall (founded in 1902). We have high standards and the club likes to do things in the right way. We aim to provide the best facilities and equipment we can for players to enjoy their football and in return ask for support in advancing the club in terms of its playing standards and in maintaining its place in the community of Grampound and in the wider football community. We have excellent facilities including a recently re-laid and drained pitch and clean, modern changing facilities. The pitch is one of the best around and is maintained by the club and is well looked after. Grampound FC is a FA Charter Standard Club. The FA Charter Standard programme is a kitemark which recognises and rewards high quality levels of provision in club and league football. Criteria for achieving this national kitemark include attending training events each year, having a trained Welfare Officer, criminal records checks for all volunteers, Emergency Aid-trained volunteers at all matches and training sessions, FA Respect programme sign-up, a qualified coach for each youth team and exemplary club administration in place. An audit takes place each year to ensure standards are being maintained and the club has gained enormously from grants of free kit. 2011 : Premier League Players' Kit Scheme (£500 to purchase children's playing kit), 2011 : Football Foundation “Grow the Game” grant (£5000 over 3 years to develop children's football). 2013-14 : Sport England “Protecting Playing Fields” grant (£71350 to re-lay and drain Grampound Recreation Ground). 2014 : Grampound Community Fund grant (£3600 to purchase mobile floodlights). 2014-17 : four annual grants of £500 each year from Grampound with Creed Parish Council to support ground maintenance. 2017 : Grampound Community Fund grant (£4000 to purchase a compact tractor and mower). 2018 : Cornwall FA (£500 Small Grant to purchase ground maintenance equipment). Grampound 2-1 St Minver Res.